The orders from M&Z and B&B are being delivered after Halloween, but I wanted to plant my containers now. Off to Roxbury Mills, came back and emptied out the sweet potato vines and geraniums, and on to bulbs and pansies. Kolpakowskiana tulips, apricot passion hyacinths and crocus Snowbunting in the front door pot, plus one other standard tulip that I have already forgotten! According to Mr. Google, phenology is “the study of cyclic and seasonal natural phenomena, especially in relation to climate and plant and animal life.” This is how you know when it’s time to plant peas (when forsythia and daffodils begin to bloom), or what bulbs will bloom with what. Sometimes it works, and sometimes, given climate change, it doesn’t. So, one success this year is planting grape hyacinths to coincide with tulip sylvestris, an elegant swan-necked yellow tulip that I read about somewhere and planted for the first time last fall. These grape hyacinths are bigger and bolder than my older ones, and the bees love them. Another success, at last, is ‘Sun Disc’ daffodils with Virginia bluebells. Here they are by the oak tree trunk, finally blooming at the right time. Other phenological observations are that the cherry trees are beginning to fade, just as the redbuds spring forth. Here’s a cherry tree in my neighborhood several days ago: Alison’s two gorgeous crab apples are in full bloom right now. 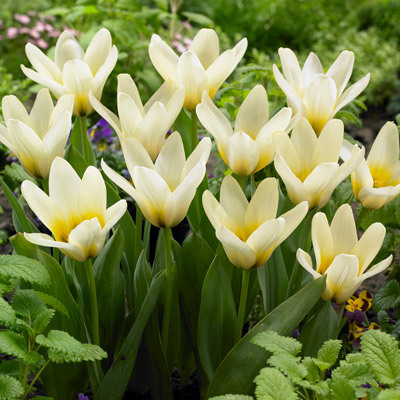 In my garden, there are tulips (the pink ones blooming with the Judd’s viburnum, just as ordered), daffodils, squills, ipheion, snowdrops, and more. It is an exuberant time in the garden. …which is a nice way of saying that I have neglected this blog in favor of the faster blip of Instagram posts. 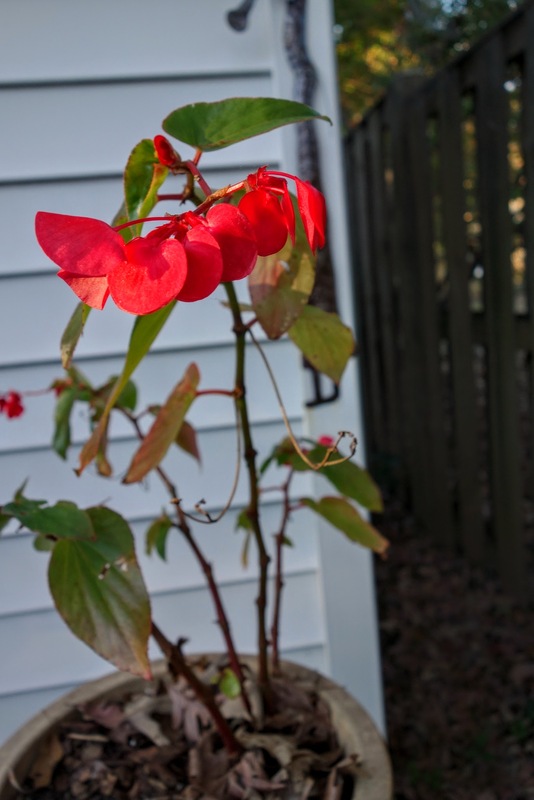 The original purpose of the blog was to document my garden so that I could learn from my mistakes and notice changes. Of course, over time I’ve included travels and quilting, but in the original spirit of things, here’s a whirlwind tour of what happened this spring. The ‘Tête‑à‑tête’ daffodils did just what they were supposed to: add color to the early spring garden in front. As a bonus, they bloomed with the grape hyacinths, great color combo. These were perfect and I may get more to add under the maple tree next year. I love the English bluebells with the pale yellow daffodil ‘Sun Disc.” Every few years they actually bloom together the way they are supposed to, and this was one of the years. 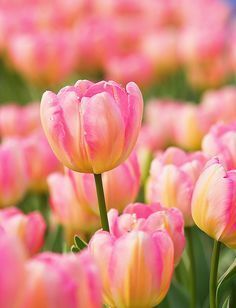 These pink tulips (French single late from WFF?) beautifully echoed the pale pink viburnum ‘Judd.’ I did not realize I was doing this but will take all the credit for it anyway. Will they bloom at the same time next year? We’ll see. The yellow hostas and yellow ‘West Point’ are another striking combination for which I will also take )unwarranted) credit. These are Tommy crocuses caught in just the right amount of sunshine. 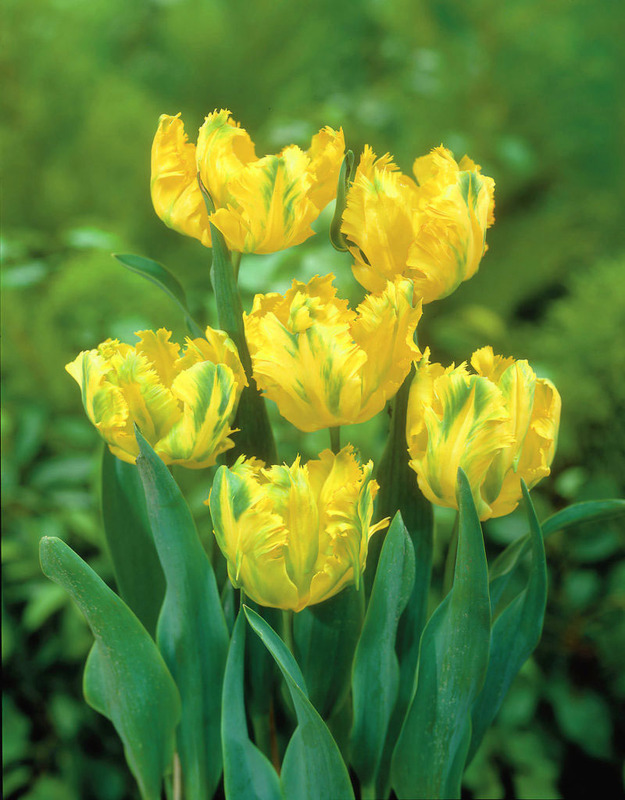 And these are my favorite lily-flowered tulips, ‘West Point,’ that go on year after year. I hope these do the same even though they’re in a pot. Echoing Ruth Krauss, daffodils are to give everybody enough. The ipheion in the walkway bed seem to have petered out, so I ordered more. Here is one, looking a bit different from the originals, in the bed by the sidewalk. So I think it’s ipheion ‘Constellation of Blue Stars’ but maybe not? For next year: more anemone blanda, especially under the maple tree. I also added more trout lilies and English bluebells under the oak tree, and that was a Good Thing. As usual, my eyes are bigger than my – well, than my ability to plant bulbs in the hard clay soil that abounds here. But here is what I have. Tulips ‘tarda dasystemon’ and polychroma, both yellow species, among the hostas under the maple tree. a selection of tulips from Roxbury that are destined for cutting and to fill some containers: Passionale, Tom Pouce and Elegant Lady in shades of purple, rose and pale yellow. Note that the picture above is just a generic pretty picture from a landscaping site and reflects none of the bulbs I have planted! 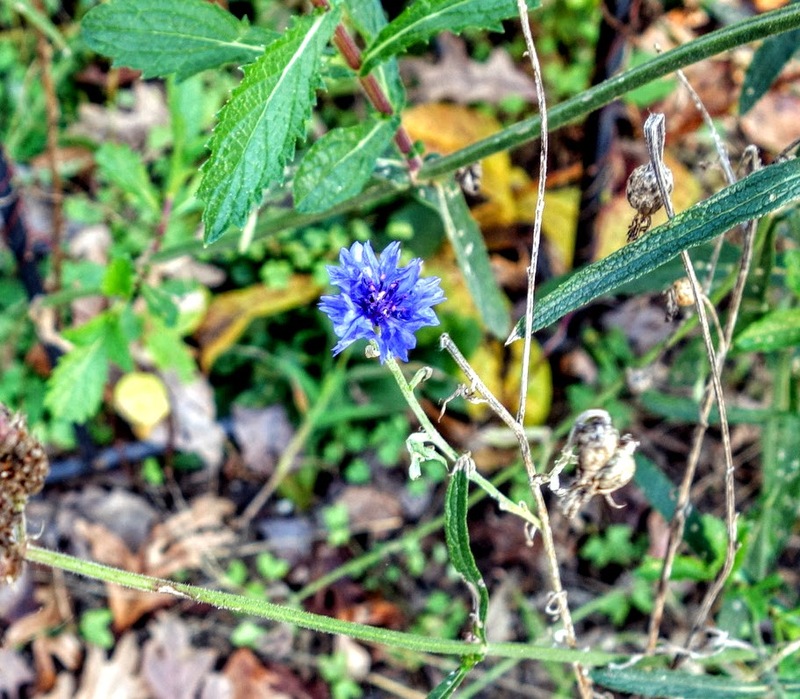 On January 15, the only things in bloom were the usual suspects, but they were welcome. Winter aconite (which has been in bloom for about a month), hellebores, and crocus ‘Claret’ tried to brighten the gloom on this mild, cloudy day. With rain in the forecast, I took Adrian Higgins’ advice and sowed some Shirley poppies that I had on hand. No telling if they will take, but worth a try. Just a few random notes from the garden this fall. This has not been a very active gardening year for me (wait till next year!! ), but I wanted to mention a few things. First up is this picture of a woodpecker on the yucca plant. When the plumbers dug up the front lawn, they broke off a lot of leaves on this guy, and he was looking pretty sickly. Nevertheless, I think it must be a cast-iron plant, because it has recovered nicely. I left one bloom spike on it for no particular reason, and now I know why: it’s for the woodpecker! Blurry because he was pecking so fast! Boxwood Winter Star (so-called, probably North Star) for the front pot – I saw something like this somewhere and copied it. Apparently if it is North Star it will grow as a globe but right now it’s small and upright. When the pansies expire and before the bulbs come up, there will still be a presence there.